The Agilent E5515C hardware platform for the 8960 Series 10 wireless communication test set offers mobile manufacturers and wireless device developers immediate competitive advantages. The proven 8960 test applications, developed for high-volume, automated mobile phone manufacturing test, offer speed, accuracy, repeatability, and ease of programming, all on the format-flexible E5515C architecture. For the mobile manufacturer, this translates into lower test costs and higher production output to help meet customer demand for phones now and into the future. The 8960 lab applications allow wireless device developers to verify and troubleshoot wireless designs with flexible network emulation, support for today s end-to-end data services and data analysis tools, in addition to the extensive RF parametric testing available in the test applications. Download a copy of the 8960 Configuration Guide for detailed information on how to order an 8960 test set to meet your wireless technology testing needs. The E5515C Test Set measures 222 mm high, 426mm wide and 625 mm deep and weighs approximately 30 kg depending on the hardware option configuration. Note: The E5515C represents the hardware platform for the 8960 Series 10. 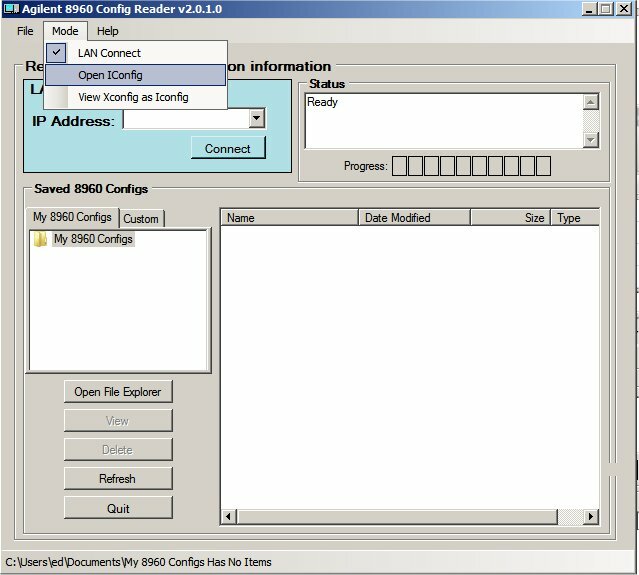 Here are Iconfig File Extraction Instructions if you currently own an E5515C and are looking to sell it or trade it in to us. 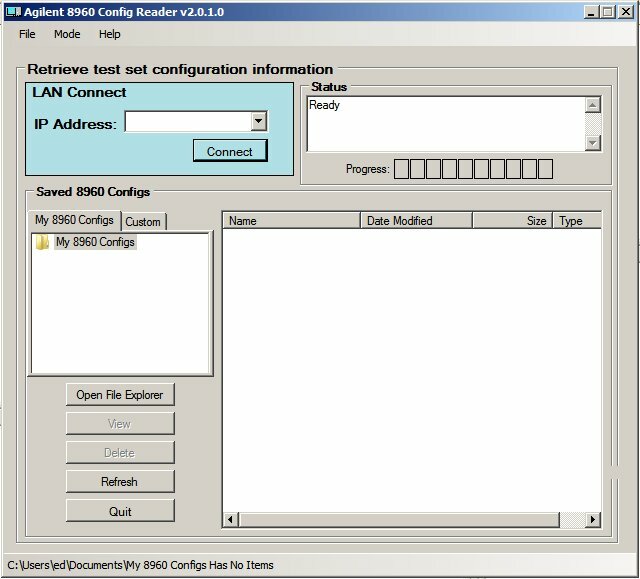 First you need to install the 8960 config reader. Click the link below to download. Then you need to plug the 8960 into your local LAN network port, or one of your router ports. Then you need to give the 8960 an IP address, like 193.167.0.100 or whatever is not currently in use. Use the 'setup' and/or 'config' buttons until you find one that lets you edit the network settings. You might have to put the subnet mask and the gateway settings too. in too. Just look at the network settings of whatever computers you are using there if you are not sure what those should be set to. 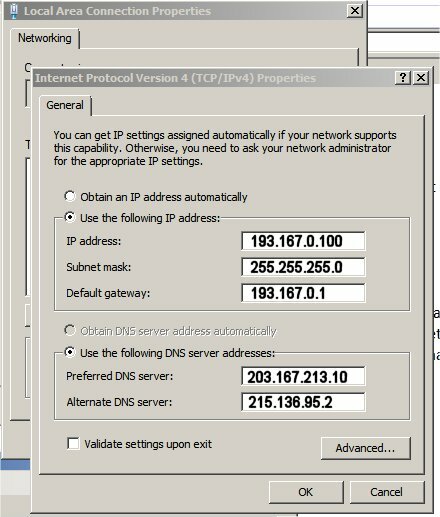 So you want the 8960 on your network on a different ip address. And you should be able to get the file from there.